Kincaid advances to 5k final in fashion, winning his heat. Ran controlled within the pack then made a big move up to lead the last 250m or so. Great to see a guy in a Pilot uniform getting a lot of love on national TV! 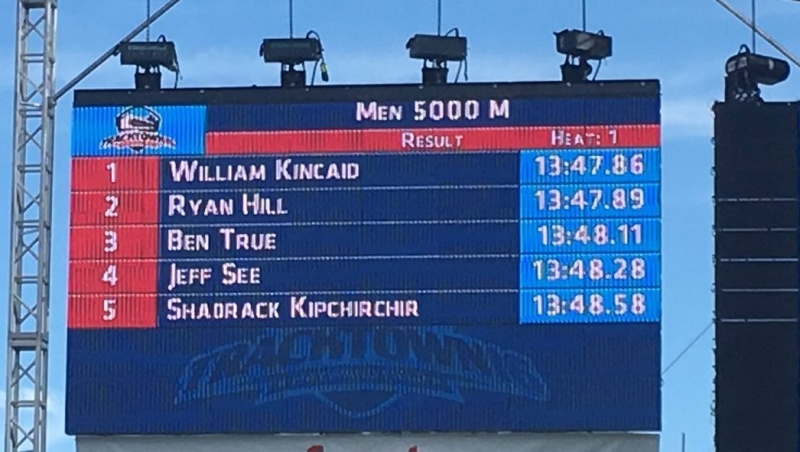 pilotram wrote: Kincaid advances to 5k final in fashion, winning his heat. Ran controlled within the pack then made a big move up to lead the last 250m or so. Great to see a guy in a Pilot uniform getting a lot of love on national TV! Loved his run and the TV exposure today....everybody roots for the runner with the strong finish. Heard his last lap was a 0:53. He understands these types of tactical races. Let's hope he can stay in the mix in the final. Scott Fauble came in 7th overall at the Boston Marathon and was the first American across the finish line. SouthCarolinaPilot wrote: Scott Fauble came in 7th overall at the Boston Marathon and was the first American across the finish line. It was a personal best for Scott in 2:09:09, and he and fellow American Jared Ward (BYU) took turns moving to the front to urge an honest pace and avoid any “cat-and-mouse” tactics. Both Americans wound up setting personal-best times. When I was leading, I was thinking holy (expletive). I’m leading the (expletive) Boston Marathon. It was a surreal experience to be leading a race that I grew up watching on TV. I kind of idolized the race and the experience, and I just tried to soak in the moment of being in the front of the pack. I didn’t go to the front to feel that, but when I was in front, I definitely, made a point to be like, ‘this is pretty amazing’. He didn't say "holy cross"? 2:09:10 is the 10th fastest on the all-time list for Americans knocking Bill Rodger down to 11. Woodless 2.0 wrote: 2:09:10 is the 10th fastest on the all-time list for Americans knocking Bill Rodger down to 11. 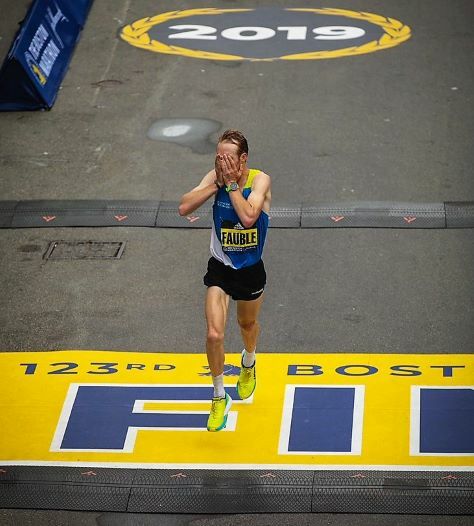 "Fauble ran the 11th fastest time from a United States born marathon runner in history and the eight fastest time by an American in Boston Marathon history. He and former University of Oregon runner Galen Rupp are the only American runners to break 2:10:00 since 2013." Jared Ward (former BYU runner) also ran under 2:10:00 in the same race....so 3 have run under 2:10. It may have been 11th overall time but 10th fastest (somebody else may have had two of the fastest times bumping him down a spot).